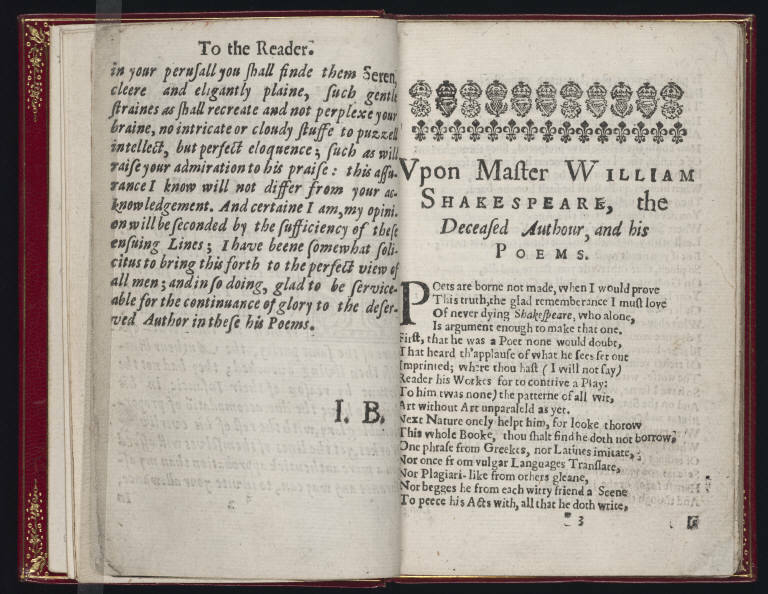 More infamously, Benson’s edition is known for imposing sexual standards of the time in the form of its editing. 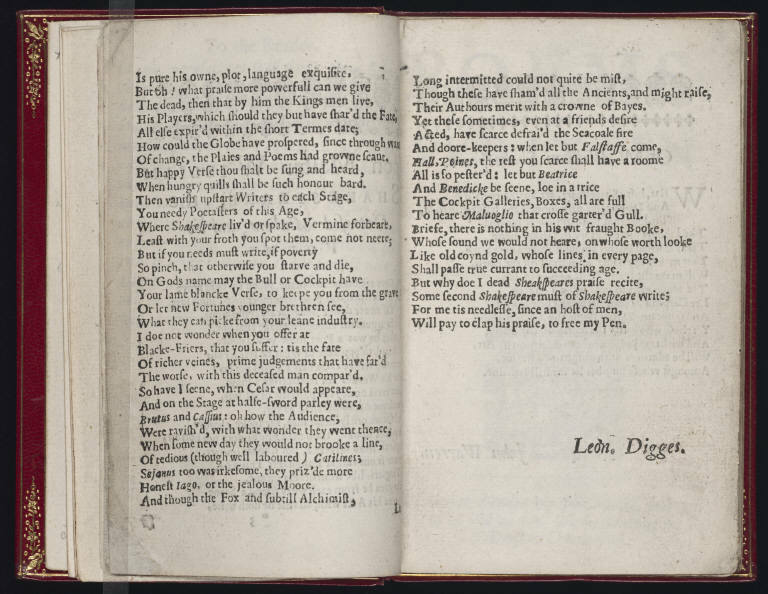 In the sonnets addressed to the boy lover–which outnumber by far those addressed to the “dark lady”–Benson notoriously altered the pronouns when he could to fashion the narrative of a heterosexual relationship, rather than a homosexual one. 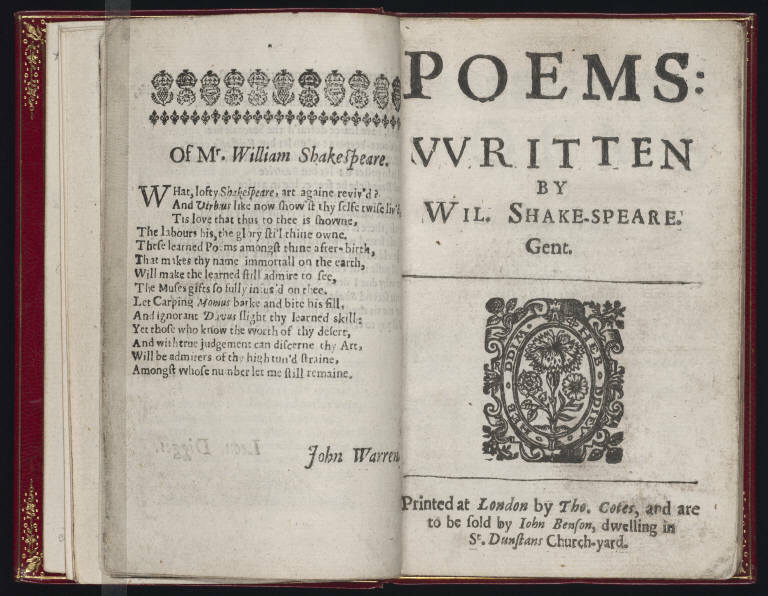 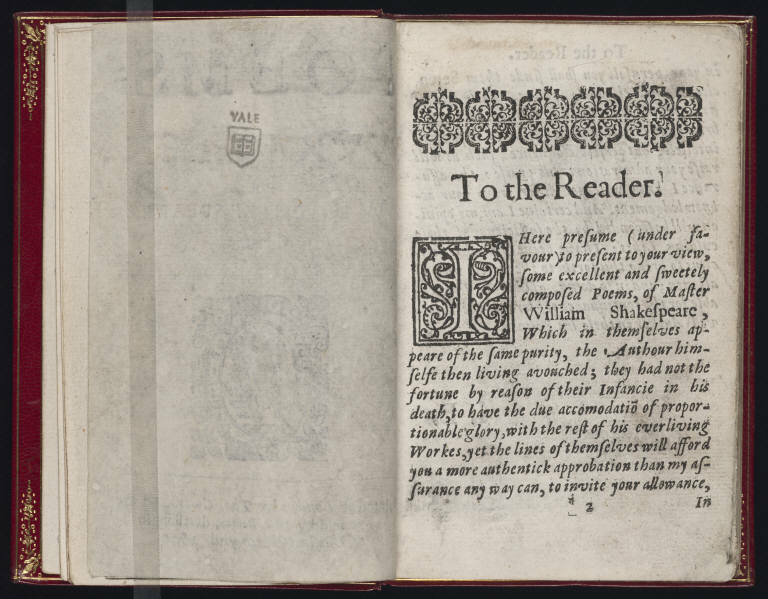 It was not until much later that Benson’s editing, happily, was corrected–but it says something that by 1640, Shakespeare was not just a popular author or even a monumental author, but an author whom printers, publishers and readers had a serious stake of fashioning in their own image.